Two Harrisburg practices have discovered their systems have been accessed by an unauthorized individual who may have gained access to the electronic protected health information of their patients. Harrisburg Endoscopy and Surgery Center and Harrisburg Gastroenterology in Dauphin County, PA were alerted to a potential intrusion when suspicious system activity was detected on March 17, 2017. While the investigation revealed the system had been accessed, no evidence was uncovered to suggest any ePHI was accessed or stolen by the attacker; however, the possibility of data access could not be ruled out. Out of an abundance of caution, patients were sent breach notification letters on April 28 providing them with information about the breach to allow them to take precautions to protect their identities. It would appear that credit monitoring and identity theft protection services are not being offered to affected patients. The types of information stored on the compromised system included names, demographic information, health insurance details, Social Security numbers, clinical data and diagnostic information. The incident has prompted both practices to enhance their security protections to prevent future breaches of this nature from occurring. 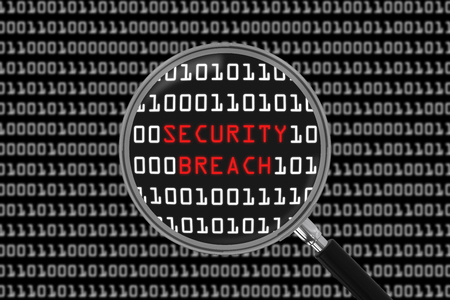 The breach reports submitted to the Department of Health and Human Services’ Office for Civil Rights show this to be one of the largest potential data breaches of 2017. 93,323 Harrisburg Gastroenterology patients and 9,092 patients of Harrisburg Endoscopy and Surgery Center have been impacted. Over the past few weeks there has been a spate of hacking incidents reported to OCR by healthcare organizations. In January/February, there were 51 healthcare data breaches reported to OCR, 27% of which were the result of hacking. In March/April, a further 51 healthcare data breaches were reported, 19 of which (37%) were due to hacking – A rise of 37% in the past two months. Hacking incidents have increased, although they are not the leading cause of data breaches. In March/April, 22 breaches involved unauthorized disclosures – 43% of all incidents reported to OCR. That represents a 10% increase in unauthorized disclosures from the first two months of the year.